This photograph shows workers in a mine near Freiberg (Saxony). Located in the Ore Mountains [Erzgebirge], Freiberg was one of Germany's mining centers. 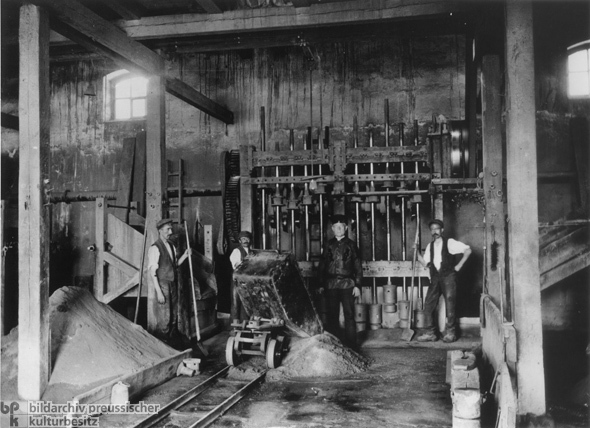 Although steel and mechanized technology had made the extraction of raw materials easier, mining still required strenuous – and often dangerous – work. Photo: Otto Haeckel.